If you’re going through a difficult family matter, whether a divorce, separation or child custody matter, obtaining advice from a specialist family law lawyer is vital. The earlier you make contact with a family law firm, the better. Without a clear understanding of your legal options, it is almost impossible to embark on meaningful negotiations to try and resolve issues. If an agreement cannot be reached, court procedures may commence. There are many rules in place regarding this family law court process, and it should only be entered into with legal representation. Set out below is a brief outline of the events that occur once a matter is before the Court. An Application can be filed in the Family Court or the Federal Circuit Court (formerly Federal Magistrates Court). If the Application is for property settlement it will proceed to a Case Assessment Conference and then to a Conciliation Conference and then (possibly) to a Final Hearing. If the Application is for children’s arrangements it will proceed to an Interim Hearing and (possibly) then to a Final Hearing. At any stage of the Court process the parties are able to reach agreement. If an agreement is reached the parties should document it as “Terms of Consent Order”. An Application can either seek Interim Orders and Final Orders or just Final Orders. There is a filing fee payable to the Court when filing an Application, or a Response. If Interim Orders are sought an Affidavit needs to be filed with the Application. Interim Hearings usually relate to urgent issues and are intended to be of a short-term nature, i.e until the Court has an opportunity to conduct a Final Hearing. Interim Hearings have a maximum time limit (in Court) of 2 hours, they are based on Affidavits and do not provide (usually) for oral evidence. The Case Assessment Conference is the first major event in Court. It may be conducted by a Registrar or Judge if a property matter or a Registrar and Family Consultant if a children’s matter. As the Case Assessment Conference provides an opportunity for the parties to reach an agreement with the help of the Court, it’s important to have a family law specialist by your side. 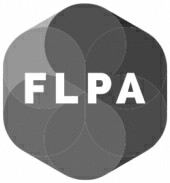 If you have family law lawyers representing you, they will take part in the conference. A Conciliation Conference is a compulsory Court Ordered mediation that provides an opportunity for the parties to attempt to settle their dispute. The Conciliation Conference occurs after a Case Assessment Conference and are conducted by a Deputy Registrar of the Court. Attendance of the parties and their lawyers is usually compulsory. Conferences are conducted on a ‘without prejudice’ basis. This means that except in very limited circumstances neither party can later give evidence about what was discussed at the Conference. If a matter fails to resolve following an Interim Hearing (usually in relation to children’s issues) or at a Conciliation Conference (usually in relation to property settlement matters) it will be listed for a Pre-Hearing Conference. In Brisbane Pre-Hearing Conferences in the Family Court usually occur approximately 12 months after the Interim Hearing or Conciliation Conference. In the Federal Circuit Court (formerly Federal Magistrates Court) they occur approximately 6-10 months later. The Pre-Hearing Conference is conducted by a Registrar of the Court. The parties and their lawyers are required to attend. At the Conference a timetable is fixed for the filing of Court documentation including Affidavits and Reports and the matter is allocated a Pre-Trial Conference date when a Final Hearing date will be allocated. An Independent Children’s Lawyer is a Solicitor appointed by the Court to act on behalf of the children. Appointments may be made at any stage by the Court, if the Court is satisfied that there are appropriate reasons for the appointment. The sorts of issues that the Court will look for in making such an appointment is where child abuse is an issue, where there are cultural or religious issues, where there is intractable conflict between the parties, where one of the parties is not a natural parent, where there is a proposal to separate siblings, where there are mental health issues etc. The Final Hearing is conducted before a Judge. At the Final Hearing the witnesses give evidence and are cross-examined. The Barristers make submissions to the Court summarising their client’s case. Sometimes the Judge will give a Judgment immediately or the Court will reserve the Judgment and the decision will be handed down at a later date. Parties who reach agreement are advised to document their agreement in writing. This is usually achieved by way of a Consent Order. The Family Court has a standard form for Consent Orders and once the document is completed (and if both parties are legally represented and it has been signed by the parties and their Solicitors) it should be filed in Court. Only after the Court has accepted and issued the sealed Order is it enforceable. Annex a certificate of independent legal advice signed by each Solicitor. A Financial Agreement is not registered with the Court however if it is completed correctly in accordance with the formal requirements it is binding. An FA can only be set aside in very specific circumstances. We hope this information is helpful. If you are unsure of your legal options, contact the family law specialists at Michael Lynch Family Lawyers for helpful advice by phoning (07) 3221 4300. We offer initial fixed-cost ($385 inc GST) no-obligation one-hour appointments with our expert family law solicitors. 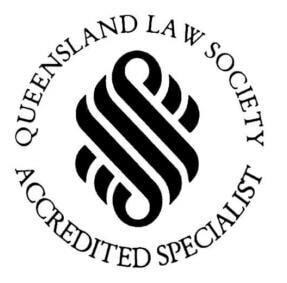 We can meet with you in person in Brisbane City or discuss your case over the phone or by SKYPE.